This tasty Christmas Pack from JR Farm is the perfect way to prepare your small pet for the upcoming cold winter days with a festive flair! Each Christmas Pack contains crunchy snowballs with carrot covered in delicious desiccated coconut and grain-free winter cookies in fun festive shapes! Not only are these treats tasty, but they are also perfect for nibbling and are a great healthy way to keep your small pet's teeth in good condition. These delicious snacks are completely free from artificial colourings, preservatives and flavourings and are made onsite at the JR Farm bakery. 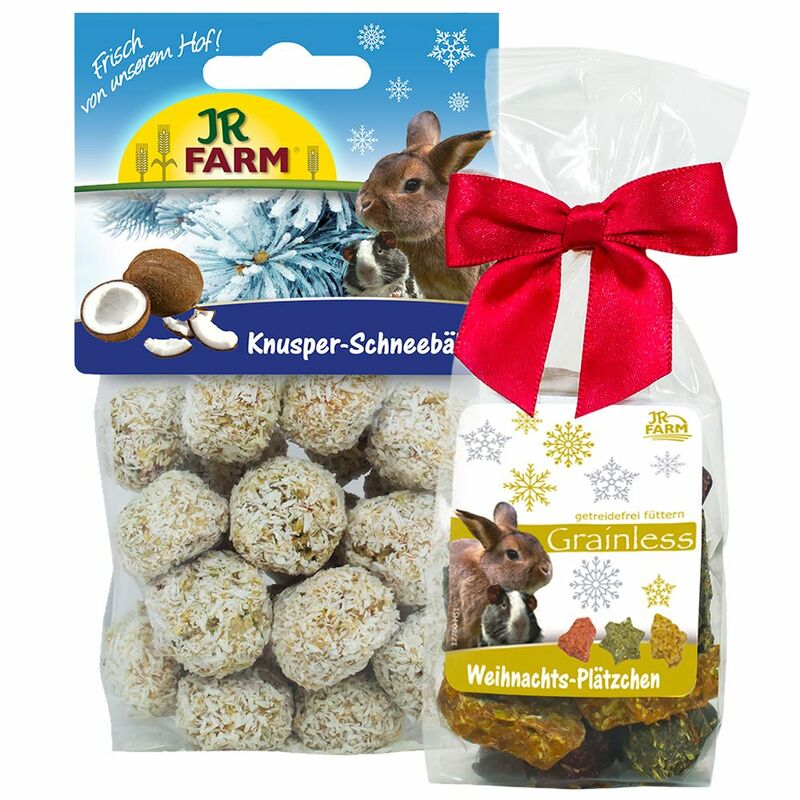 The JR Farm Christmas Pack at a glance: Supplementary food for rodents Perfect Christmas snack: crunchy snowballs with carrot and coconut, grain-free Christmas cookies Promotes good tooth health and wearing down of rodent teeth Baked in the JR Farm bakery Free from artificial colourings, preservatives and flavourings.